Continuing his approach of delivering stinging remarks against Prime Minister Narendra Modi, Congress chief Rahul Gandhi on Tuesday latched on to a Thomson Reuters Foundation survey that declared India as the most dangerous country for women. 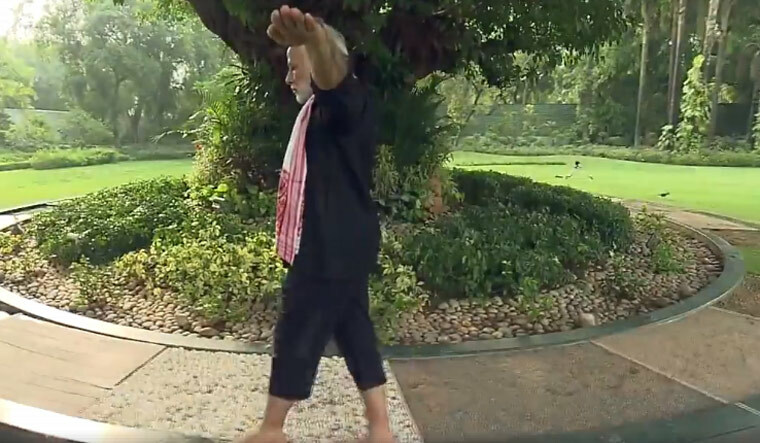 Gandhi was referring to Modi's release of a video of his daily physical exercise routine on June 13, which the Congress chief criticised as being “bizarre and ridiculous” at a party Iftar event. Prior to this, Gandhi has used Twitter to criticise the Modi government on numerous policy issues and developments such as the breakup of the BJP-PDP government in Jammu and Kashmir and the departure of chief economic advisor Arvind Subramanian. In a tweet after Subramanian's departure, Gandhi referred to Modi as “captain DeMo”, in an apparent pun on the fictional character Captain Nemo in the context of demonetisation. The Thomson Reuters Foundation survey, which was released in the early hours of Tuesday, noted India had slipped from the fourth place it held in the previous edition of the survey in 2011. The survey noted India's ranking indicated the country had not acted adequately to implement measures to ensure safety and security of women. The survey measures a country's progress in ensuring women's well-being in six areas: healthcare, discrimination, cultural traditions, sexual violence, non-sexual violence and human trafficking. India secured the top rank, or the worst position, in the areas of cultural traditions, sexual violence and human trafficking.